If your organization is navigating the onboarding and integration process for newly employed physicians, you're not alone. The Physicians Advocacy Institute recently reported that U.S. hospitals bought 5,000 independent physician practices between July 2015 and July 2016. The percentage of hospital-employed physicians increased by more than 63% from mid-2012 to mid-2016. As health systems employ or create close relationships with the medical staff, they often take on the responsibility of insuring those practitioners. Do these organizations have a plan for mitigating the new volumes of risk they assume with each newly employed physician? 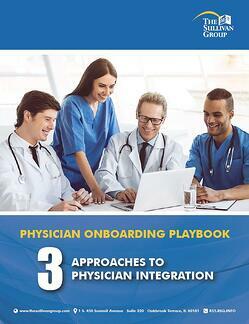 This Physician Integration Playbook outlines how three organizations uniquely approach integrating their physicians with varying levels of maturity and complexity in each program. Recommendations to consider when developing your own Physician Integration Program.